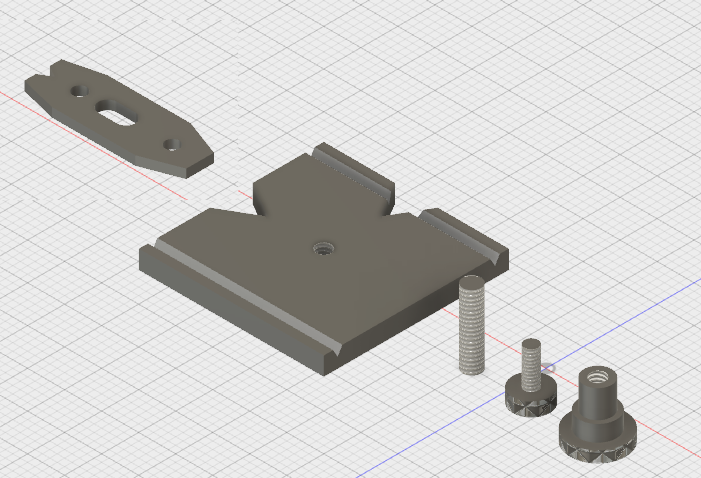 The next project in the book is a “finger plate”, which looks like it would be really useful for drilling holes in round stock. If you want the plans hit me up. 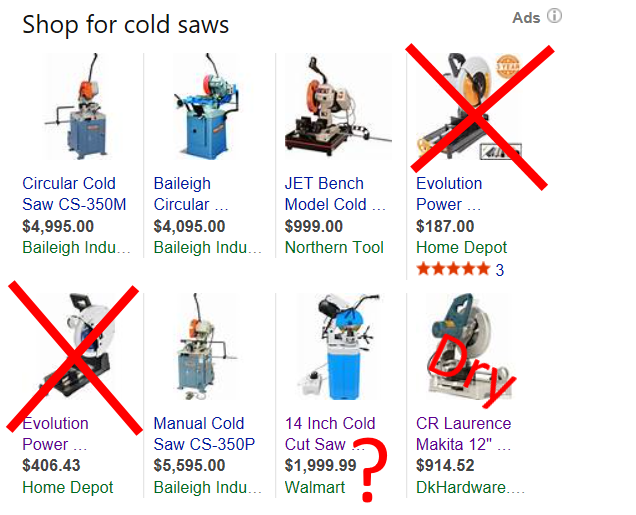 Anyways, I learned that you want to keep your digital calipers far, far, far away from the cold saw. See how far it is? Now move another foot away. Otherwise it is going to be soaked in coolant, which is kinda bad for the electronics. I’m sure there’s a fancy 60-degree end mill specifically for this purpose, but I don’t own one. So instead I used this thing that I happened to find. 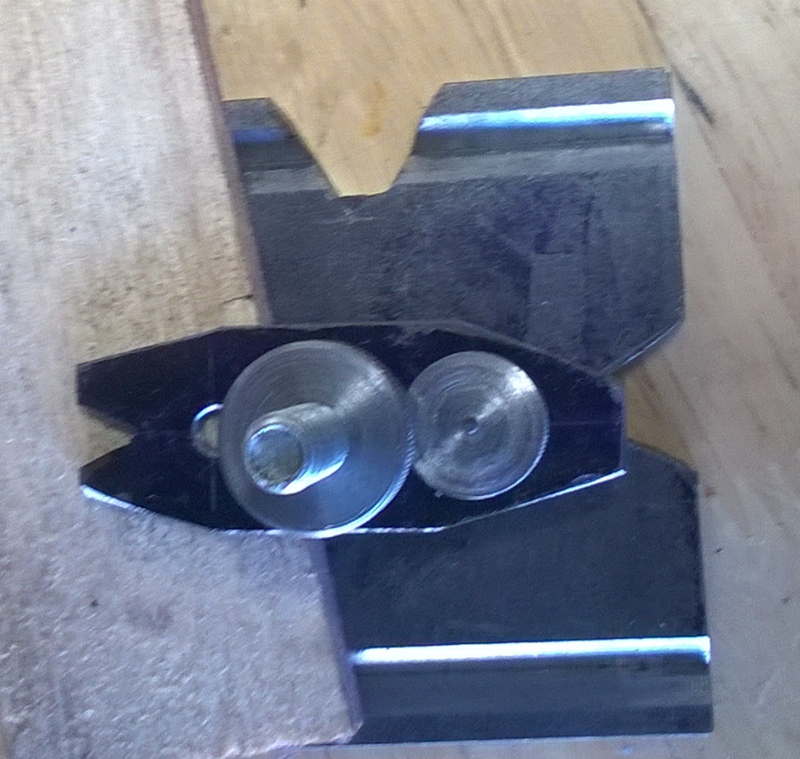 I don’t even know what it’s called, but it’s clamp-shaped, stored in the junk pile near the mill, and did the job. Maybe next time I’ll try to figure out how to dial it in. This time I was happy with “almost parallel” to the lathe. The cut is a bit deeper in the front, but that doesn’t affect its usefulness. A strip sander made quick work of cleaning up the mess left by the grinder. It’s no longer a true V, as said sander can make it wider but not deeper. So I’m just going to pretend that I wanted a fancy flat-bottomed cut. This was a failure, though I didn’t know it until I was completely done. 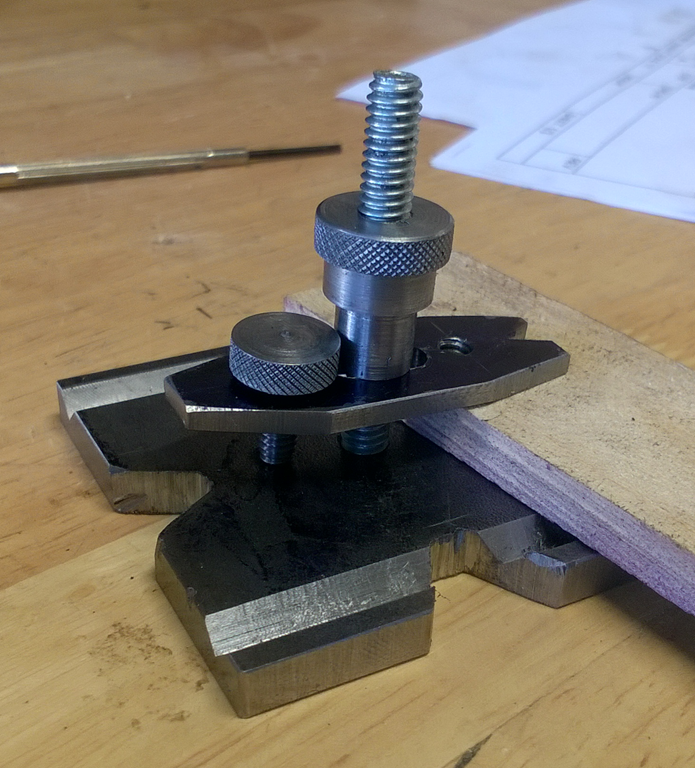 My stock was 1/8” of an inch too short, so I figured I would just make the center slot 1/8” longer. The distance between the holes for the elevator screw and the clamping nut are really important. If it isn’t big enough, the two won’t clear each other. This in turn means that the clamping bar doesn’t actually reach the groove, which is kinda important when trying to hole round-stock. I’m going to halve to remake this part, paying careful attention to the measurements next time. I used a cold saw for the basic rectangle, then an angle grinder for all of the angles. A combination of Dremel and belt sander cleaned everything up. This is a bad design for lathe work. After you thread the screw and knurl the end, you need to part it off. That can leave a rough finish, so you would normally turn it around and face it. But you can’t do that because there’s nothing to grab onto. You’ll either mar the knurling or crush the threads, defeating the purpose. Compare it to this design, which gives you a nice shoulder to grab. I understand why they did it. You want to keep the elevator screw short do that you clear the clamping nut. But still, it’s annoying. This has three steps. The lower step helps with clearing the elevator nut, the middle to grab it in the lathe (and aesthetics) and the top is of course knurled. I’m really happy with the knurling job. I paid close attention to the vertical alignment of the wheels and gave it a lot of initial pressure, both of which paid off. The total of all three steps is 0.78”. I want some extra for safety, so drill it to 1.00” right? Yea, ‘cause 0.25 + .78 + extra totally equals 1.00. So after parting I needed to make the hole a wee bit deeper. If I wanted any chance of getting this concentric I needed to continue the existing hole rather than make a new one on the back side. But holding it normally would crush my knurling, and I’m not going to ruin my best knurl to date. 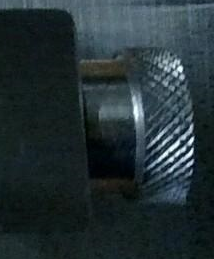 So what I did was use the back of the jaws to grab the middle step with the knurling towards the chuck. 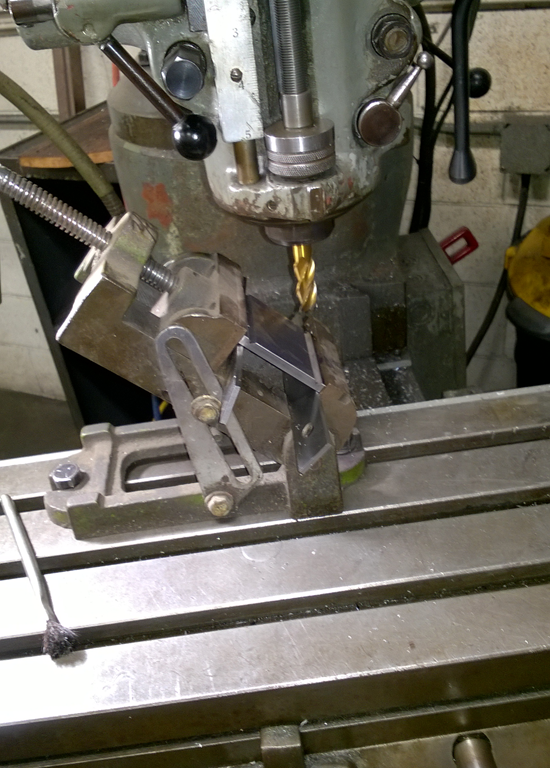 The internal clearance of the chuck is 5/8”, which is plenty of room. After fixing the hole, just flip it around a tap as normal. Since I was tapping from the top, I had to turn it around and use the back of the jaws again to drill out the clearance hole. Then I retapped from the top to clean the threads. 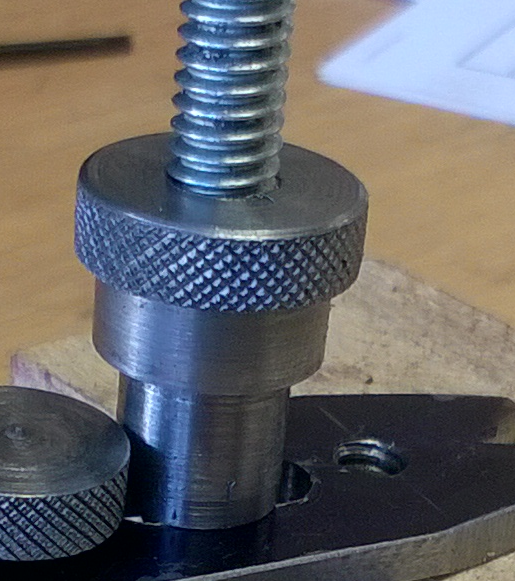 I didn’t have any 1/4” studding so I parted off a bolt in the lathe, partially crushing the threads in the process. I wasted a lot of time chasing that with a nut to clean it up. Someday I need to learn the correct way to cut down threaded rod. This entry was posted in Crafts and tagged lathe, mill, tapping. Bookmark the permalink. Any way to still get plans for this / Looks like a nice project an usefull .